These are items that I actually use and this guide is intended to give you a sneak-peak into “Dr G’s” medicine cabinet. I have listed them in my order of preference when I need backache relief. 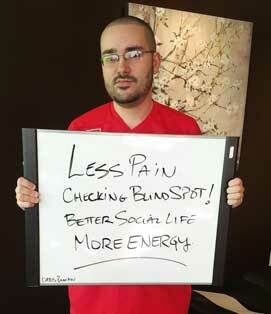 Although these products do indeed relieve back pain….it is always temporary. In the same way that an anti-inflammatory or muscle relaxant may help you feel better in the moment, nothing really changes. The reason why I will use one of these products instead of over-the-counter drugs is because it achieves the same (or similar) result as an over-the-counter drug but I have never heard of any serious side effects from these products. On the other hand, the over-the-counter drugs can create some nasty side-effects, including death when used chronically. These products are pretty tame in comparison and will help ease the back pain and allow you to get through the night/day until you get some definitive care and correct the underlying problem. Back and neck pain are ALWAYS “collateral-damage”….there is always a hidden “Primary Condition”, and if it remains uncorrected, things like back and neck pain will always come back. 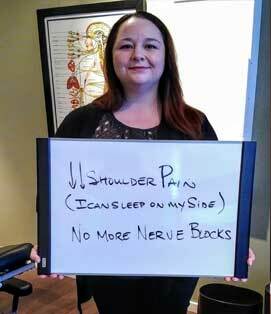 See your Chiropractor.If you don’t have one, call my office. 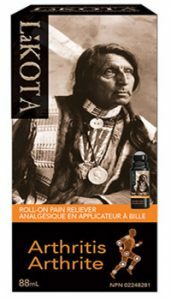 Lakota Arthritis RubThere are several types of Lakota including “Lakota Back Pain” but my personal favorite is “Lakota Arthritis” It comes in the form of pills, roll-ons and a sponge applicator. 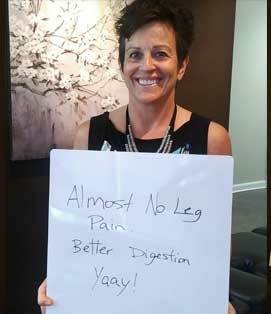 I have tried all of their ‘pain related’ products (except for the pills). The red-label arthritis version in the roll-on applicator is my absolute favorite. The sponge applicator wastes product and the pills….well those are pills – and I am not interested. Applying a product to my skin and putting it into my mouth and ingesting it are two different animals. Lakota gets HOT when applied and “how hot” is not always predictable.When you first start using it, you will notice that it gets really hot, and if you are not careful, it can create what looks like a chemical burn. It never lasts very long and ultimately gives me some relief until I get some definitive care from my Chiropractor. After several applications, I have noticed that the intensity of the heat lessens and eventually stops getting hot at all. After several weeks of not using it, the effect returns. Something else I notice is that even days after the last application – the product can “re-activate” and get hot all over again if I am doing a workout and begin to sweat! You can buy it at your local drug store or online HERE. BTW, It can stain your clothes. Short version, this company also has several iterations of it’s core product like spray-ons, and patches. They also have products that are marketed as especially formulated for muscles vs joints vs strain and sprain. Personally, I have only enjoyed the Ice Cold Pain Relief Gel you see on this page. I should mention that an actual ice-pack will ALWAYS be better than this gel but an ice-pack isn’t always convenient and the gel is a good pinch-hitter. This product also tends to stain clothes in my experience. Most people get this wrong. 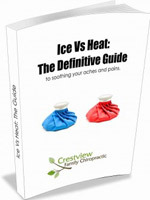 I wrote the “Ice Vs Heat: The Definitive Guide” a few years ago and my patients find it pretty useful. 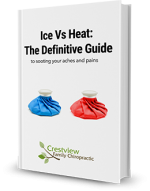 In this guide you will learn when I use ice and when I use heat as it relates to back and neck pain as well as how to use an ice-pack. How long to leave the ice on and how long before you can apply it again? I cover all of that – like I said, most people get it wrong. Essential oils are all the rage right now. To be perfectly honest I never gave them a second look until recently. My wife (Beth) was headed out the door to attend a “seminar on essential oils”…. I am a bit ashamed to say that I rolled my eyes and went about the evening routine of getting the kids to bed. I am an allergy S-U-F-F-E-R-E-R!And if you haven’t noticed already, I don’t like taking pills. Allergy drugs are particularly hard on my system (and yours too BTW) and so…I SUFFER! Here’s the catch. I am a pilot. In order to fly an aircraft, you need your sinuses to be clear…and so, I opt for the Transport Canada approved drug during allergy season. Groan. After several seminars Beth sweetly prepared a concoction of essential oils in about an ounce of water and handed it to me. Down the hatch. It tasted awful….but it worked. Long story short, I haven’t used a DROP of allergy medication this year and my allergy symptoms have never been so well controlled. When I saw the same company with a preparation for muscle and joint pain, I thought I’d give it a try. Here it is. It has yet to take top-spot over Lakota though. Probably because the initial effect is not a dramatic heat like Lakota…but it is effective. As a side note. When I use Deep Blue, it seems to clear the pores of my skin where I had been using Lakota and Lakota works again! (As always, “Disclaimer disclaimer…we’ve never met – please consult a health care professional, read the directions carefully and use your common sense.) Let me know if you find this useful in the comments section below!